“Gathering” suggested several ideas to me (gathering leaves, people gathering for a common cause …) but I came back to my first idea : swallows gathering in the sky for migration. 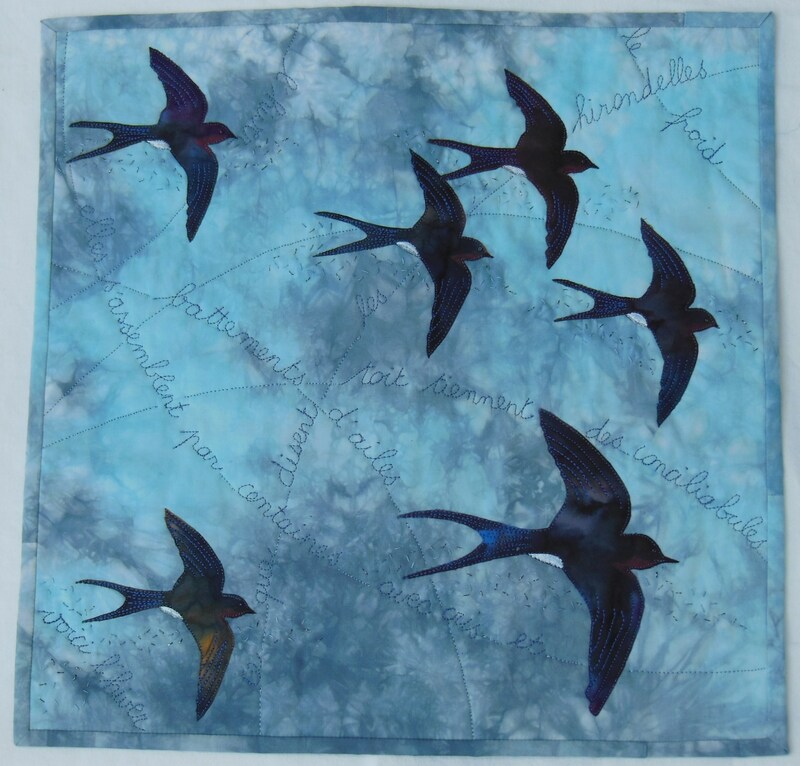 As I wanted a cloudy sky I used a blue and grey hand dyed fabric, and some scraps of batiks for the birds. Paint was added to the birds to make them more real. 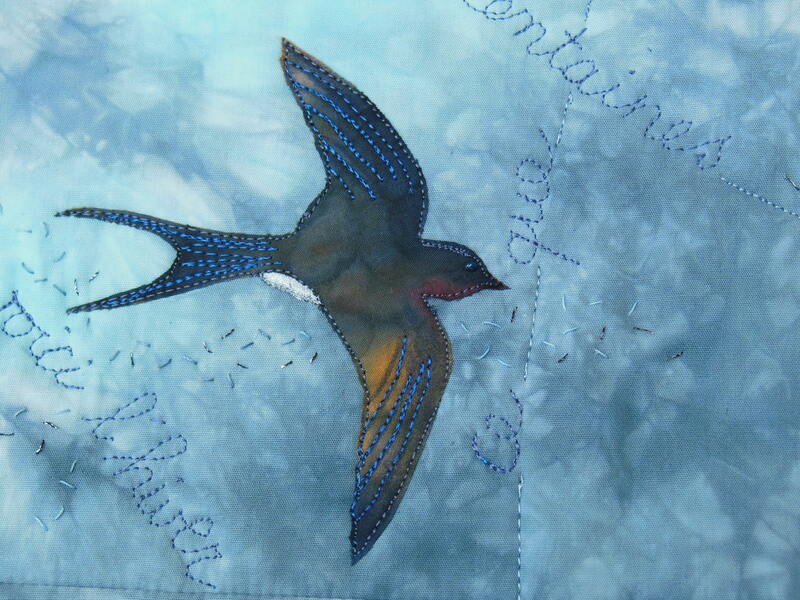 On the quilting lines extracts from a poem we used to learn at school are embroidered, explaining how birds are gathering before their departure, flying into circles, beating their wings and crying. I love how you quilted the poem. Makes it very special. What a great idea for the theme, Nice job! We have swallows around here, and martins, and they sometimes nest in the “hotel” I have for them in my back yard. This piece reminds me that soon they’ll be back! ‘ Hotel’ witch was somewhere in the roof of our veranda.This little beautiful piece takes me back with the swoop to those times .Well done. I also want mention the fantastic dusting of seed stitch that adds that extra but still minimal amount of texture.